Description: This chapter starts with how to download photos from a camera or memory card. 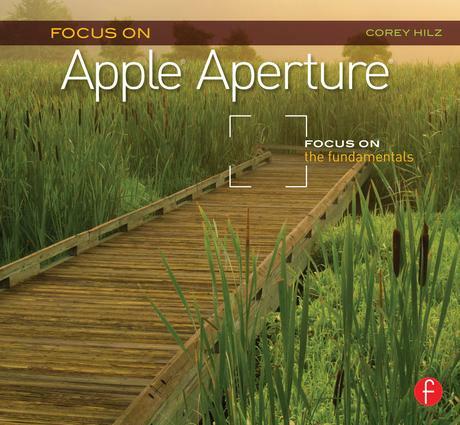 It then familiarizes the reader with Aperture's layout and organizational features. Description: This chapter first looks at how to make initial decisions about which photos to keep and which to get rid of. Then it explains the various image adjustments and how to use them effectively. This chapter is not intended to cover every image adjustment option in depth, but to give the reader and quick yet effective method of editing and adjusting their photos. Description: In this chapter the instruction focuses on adding/changing metadata and keywords. It's then discussed how these efforts make it easier to locate and organize photos. Description: The last chapter begins by telling the reader how to use an external editor or an Aperture plug-in when they want to go beyond Aperture's capabilities. It also explores Aperture's extensive options for exporting versions of photos. The chapter concludes with a look at how the reader can share their photographs, whether it's by printing a photo, laying out a book (to be printed by Apple) or creating web galleries and web journals (published through Apple's MobileMe service). Corey Hilz is a professional photographer specializing in nature and travel photography. His work is seen in magazines, books, calendars and catalogues, as well as in art galleries. Corey finds the diversity in nature offers boundless opportunities for new images. He approaches his subjects with an artistic eye, looking for a fresh perspective. Corey shares his approach to photography in workshops he teaches in the United States and abroad. Corey has a passion for helping others improve their photography by sharing his knowledge through group and private instruction.